The Giver. Everyone knows it. It's one of the most famous books of our generation. 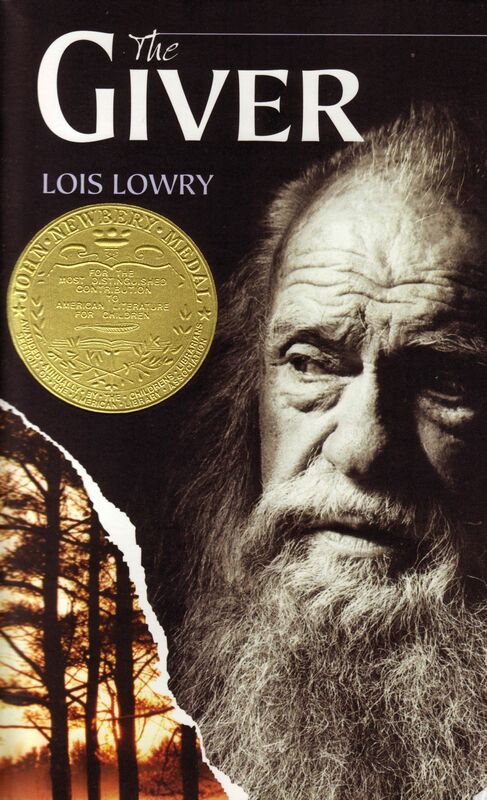 An amazing world of ethics and control is created by the talented Lois Lowry. This well-crafted story is one of my favorites, so I'd like to review it here. I first read this in the third grade, when I asked my then 14-year-old sister to give me a really good book, and she handed me this one. I started reading this book and I didn't stop until I was finished. (I mean, except to eat dinner, because everyone knows how hard that would be.) I even sat on the floor of our bathroom and read it when I was supposed to be brushing my teeth--maybe that's why I have braces. WHY DID YOU HAVE TO WRITE SUCH A GOOD BOOK, MS. LOWRY? But seriously. For those of you who don't know, The Giver is about a future world where life is so controlled that people's partners, jobs, and even kids are chosen for them. Jonas, the main character is chosen to have all of the world's memories taken upon his shoulders. The story is about how he chooses to deal with this. I recently re-read this book last year, when our whole grade was required to read it. (Since I had already read it in the bathroom earlier, I got to read #3 in the quartet, Messenger) I was amazed how well Lowry brought the character of Jonas together. He was so well written: just the right portrayal of that 12-year-old feeling of wanting to be older, but not really. I think that Ms. Lowry captured the way that a person on the cusp of "teenagerhood,"--a place where people will start to expect more of you--may feel, in a very interesting way. She created a complex world around that feeling. Jonas' job is to be the person who guides the leaders of his society with the memories of the entire world, so no one else has to have the negative effects of remembering things like war, pain, or even sunburn. But with this seemingly effective solution, comes the forgetting of things like climate, colors, love, or a boat sailing on a still lake. I don't want to ruin the ending for any young (or old, don't want to be prejudiced here) readers that still haven't read it, but I just want to say--you won't look at the world the same way after reading this book.